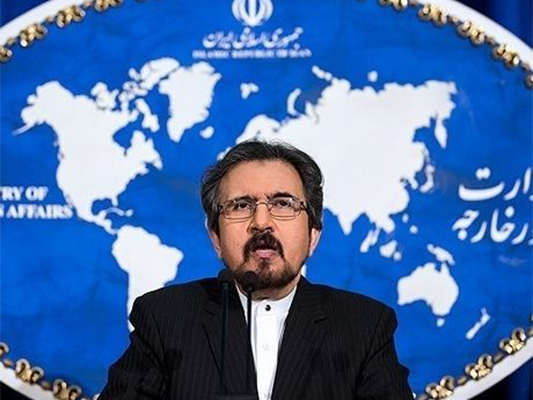 Iran’s Foreign Ministry Spokesman Bahram Qassemi has rapped the Bahraini foreign minister’s anti-Iran remarks, saying that he is too lowly to comment on Iran which is the cradle of ancient and glorious history and civilisation. In a statement on Saturday, Qassemi said the ancient land of Iran with a genuine and cultured people is home to a very unique history, culture, civilisation, and democracy, and is one of the most independent countries in the region. The Iranian spokesman added that the Islamic Republic of Iran is the nightmare of the failed rulers of Bahrain and other reactionary states, who only suppress the majority of (their own) people, and commit crimes against the people with the support of other trans-regional countries. In a series of rude and offensive tweets, Bahraini Foreign Minister Khalid bin Ahmed Al Khalifa claimed on Friday that Iran has been living on the sufferings of the Palestinian people for decades and is utilising their cause to ensure that terrorist organisations, such as Hezbollah, remain. “The biggest harm to the Palestinian cause is those who benefit from the sufferings of the people of Palestine”, the minister said on Twitter.